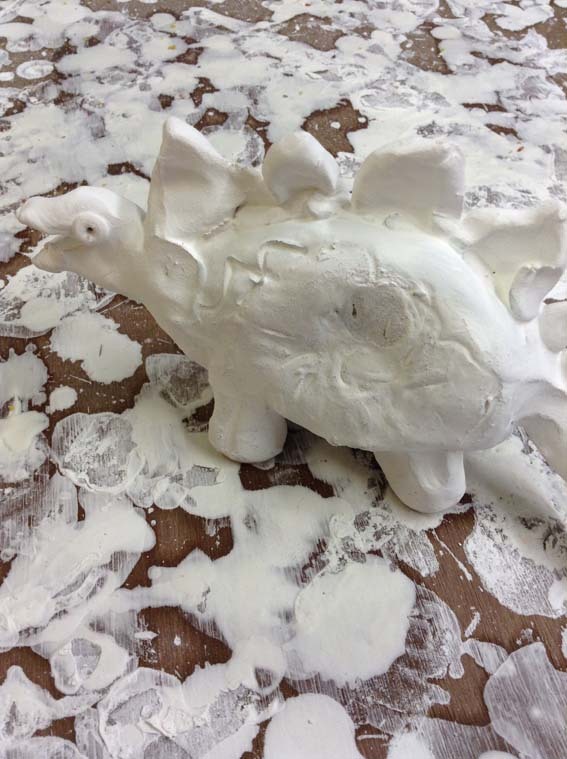 This jurasic clay creation was made by a pupil from a reception class at Woodlands Infants School, Shirley in Solihull. The #stegosaurus has been bisque fired and dipped in glaze, awaiting to have it’s feet wiped before its packed into the kiln for a second glaze firing. All the ‘white stuff’ will melt at 1080 degrees to form a smooth glassy surface revealing green, terracotta and sandstone colours. 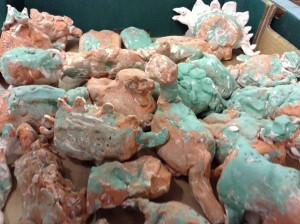 Bisque fired dinosaurs waiting to be glazed and fired.